Part 3: After Acoustics, what comes next? In this series of articles we intend to analyze the basic aspects involved in the electronic reproduction of music. 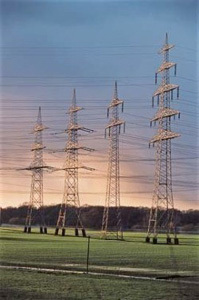 To that end, we include factors such as the room, the power line and grounding, besides the equipment itself . Our ultimate goal is to provide you with some additional tools in order for you optimize your own sound systems, therefore raising the level of music reproduction. In the first two parts of this series we dealt with the factor that most influences sound reproduction, though in quite encompassing a way – the room. We have said that since a large number of our rooms are small, the influence they bring about in the final results ranges from 50 to 80 per cent, regardless of the equipment we may be using. In a small room we would in no way manage to obtain sound quality to such high standards, even by using the “best equipment in the world”. We could invest heavily in equipment but even then we wouldn’t reach the desired sound. 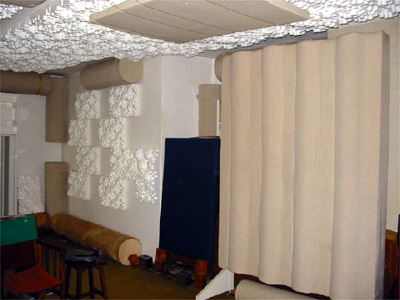 This is because the acoustic treatment is decisive for obtaining the final results in small rooms. It took me 19 years as an audiophile and electronic engineer, “brainstorming” to finally get “the insight” that led me to this indisputable fact – the room factor is essential! I guess what had deceived me this whole time was my belief that my room was very well suited to sound reproduction. After all, the room did not seem so small (it has around 70 cubic meters) and besides, its dimensions are "special" (for they come close to the so-called golden dimensions). However, after so many disputes, I am now convinced that unless our rooms have appreciable volume, say over 100 cubic meters, the negative influence it will effect upon sound results will be damaging, for it will certainly limit our systems’ performance, and to a large degree. Nevertheless, to treat a room acoustically is not to place foam pieces here and there. It is necessary to carry out a deeper study on the reflective surfaces (room walls), by means of several acoustic measurements, in order to evaluate the room's flaws. From this point on, in some specific areas, there will probably be the need to place suitable materials in order to absorb sound waves. Yet on other areas maybe sound waves need to be spread (reflected) or, who knows, maybe they need to be refracted (modified in their form and then reflected). I recommend you get advise from a reputable acoustic engineer for such work. You will obtain better results this way. And it is interesting that after having treated the room, even medium-grade electronic equipment will give surprising and pleasing sound results. And besides better sound results, it is also much cheaper! Our Laboratory some time ago. Direct Waves – These are the ones that leave loudspeakers without reflections from any of the room’s walls and hit the listener directly. These are the most important waves in order for one to have good sound reproduction. First Reflections – These are the waves that come out of the loudspeakers and having been reflected by one of the walls, hit the listener. Therefore, these are the waves that hit the listener immediately after direct waves, just after a short span, getting blended with direct waves. These are very harmful to the final result, mainly in small rooms, for they degrade soundstaging, tonal balance and the reproduction's organic character. An observation: in order not to reinforce such first reflections, don’t place loudspeakers too close to the walls. Reverberating Waves – These are waves that hit the listener after having been reflected a number of times between the walls. These waves create a diffused sound, removing sharpness from what's heard. They are very harmful in auditoriums and theaters, but in small rooms, moderate reverberating fields may even help soundstage formation. These waves bring volume to sound, allowing equipment to work at lower volumes. Standing Waves – These are created by many reflections from low frequency waves. The room modes are created by the dimensions of the room. Smaller rooms has greater problems with room modes. Both the loudspeaker's position as well as the listener’s, can attenuate the influence of the standing waves. These waves must be reduced or if possible eliminated by specific absorbers, such as the panel absorbers or Helmholtz absorbers. Let us now move on to the second most important factor in the rank of influence regarding sound reproduction. This second factor that influences sound reproduction will certainly generate much debate because it is not readily apparent. It manages to confuse some people a lot, and to fully misguide others. Few sound equipment manufacturers take it seriously, but mainly in the “high-end”, there are those that have already recognized it as being the most important success factor for the electronic part of appliances when analyzed correctly. Some of you, perhaps intuitively, may have already discovered what it is. But let’s look at it !! Let us look at some situations which may occur. Who knows, maybe you are going to realize that you've already faced some of these situations or perhaps you have already overheard something like this happening to others. A certain day, one of those heavily-charged ones, having left work earlier and still on office hours, you come home tired and in need of a moment to unwind and relax… has this ever happened to you? You switch on your sound equipment for one moment before you leave for one more appointment and… something calls your attention: the equipment is playing a CD section you know well. When you go back to a section you confirm that a certain detail of the song really sounds to you to be at a volume lower than usual. How strange! Why would it be playing at lower intensity, if you did not touch the volume knob? You sit down to listen more carefully, realizing that all the sound is in fact different, more flattened, with noticeable soundstage loss. What's going on? Maybe somebody touched the wiring? You come closer to the equipment, to have a look at it, check it out, but everything is exactly the same way you had left it the night before. Maybe it's that the background noise at night gets lower and the environment becomes much more silent so that aural perception becomes acuter than during daytime? The fact is that you are puzzled, but you don’t find a reasonable explanations for what is happening! Another situation, perhaps somewhat unusual, is when you and your friend, a fellow audiophile, have exactly the same equipment - preamp, power amp, cables, everything the same, similar rooms, both untreated acoustically, but for some unexplainable reason, the sound at your friend’s is a little better than yours. And of course, this can’t be a matter of misfortune, can it? Of course not!! And now one more situation: let's now suppose that you have moved to a new home. After having set up all your equipment (absolutely the same as that from the old house) in the new room which has dimensions similar to the old one, or even a tad larger than the old room’s dimensions, you switch on the sound and get scared at the results – it is much worse than the one at the old house!! It seems absurd! The sound seems more flattened and your realize there is more grain on the song’s notes. What's going on? You check all connections to make sure everything is correctly connected. You get puzzled and have no explanations for this. Some weeks later you realize one more interesting difference: all appliances work at higher temperatures than they did at the old house. They are now some degrees Celsius hotter than before. Why? What's happening? The origin of all the above-mentioned problems no doubt lies in the electric energy we get at our homes. It is the reason our system reproduces much better at night than during the daytime. In fact, it is the one factor that causes temperature differences in equipment, depending on the place where they are switched on. We are going to have a deeper look at this in coming articles. It is important to stress that the more “high-end” our equipment is, the more apparent the negative influence from the power line becomes. Electric energy comes from our homes’ outlets in the form of a sinusoidal voltage, at 60Hz frequency. As you know, there are several voltage levels, such as 110V (now becoming out of use), 115, 120, 127V. In Brazil, there is also 220 and 230V between phase and neutral, or between phase and phase as well. It happens that lots of unwanted things come along with this voltage, such as harmonics and transients (also called “spikes”), that degrade our sound. But let's follow up this talk at another opportunity. I want to mention here another two very important factors, not necessarily correlated to electric energy, but very relevant also to a sound system: grounding and those vibrations acting upon equipment. My previous research show very large influence of the grounding over the systems’ tonal balance, a fact that startled me, since grounding is a practice totally left out in Brazil. Well, we have much to talk about with you. In the next part of this article we will talk about electrical energy, its evils and the way we can avoid them. After this, we intend to talk about grounding and anti-vibration systems. Cheers to all, and… good listening!